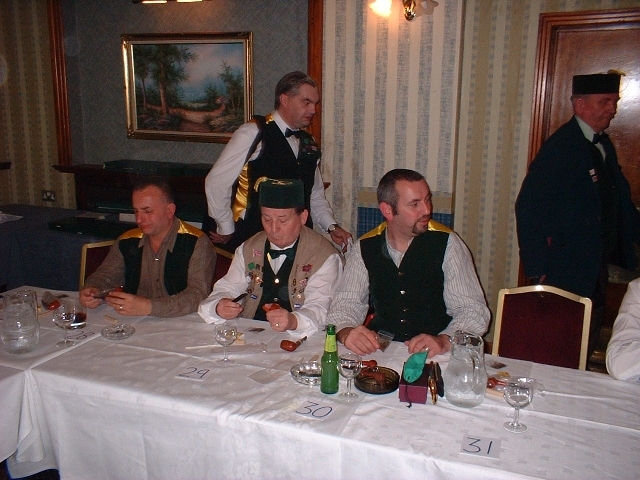 A fine day greeted the contestants as they arrived at the Lansdowne Hotel for the 14th. Norfolk Open. 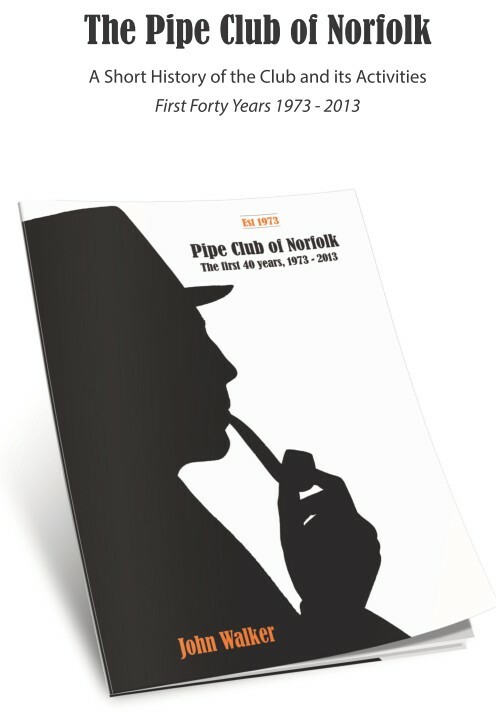 The five trade stands, each packed with quality pipes, were very busy as people arrived from as far afield as the Czech Republic, Northern Ireland, Birmingham and Thorpe Hamlet. 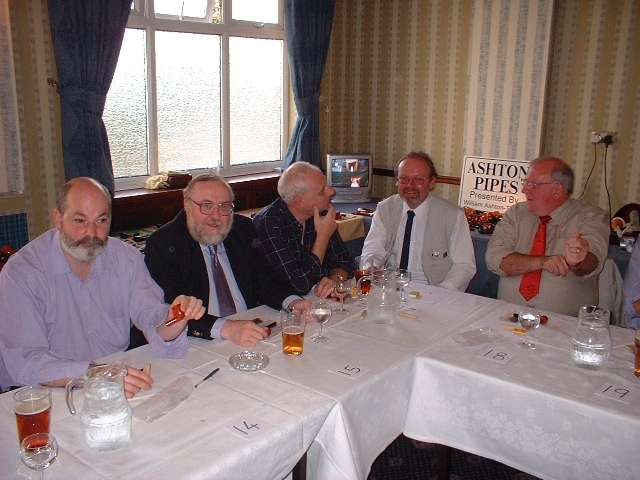 A very good three course Sunday lunch was enjoyed before toastmaster Dave Bullock introduced the guest speaker Ian Walker. 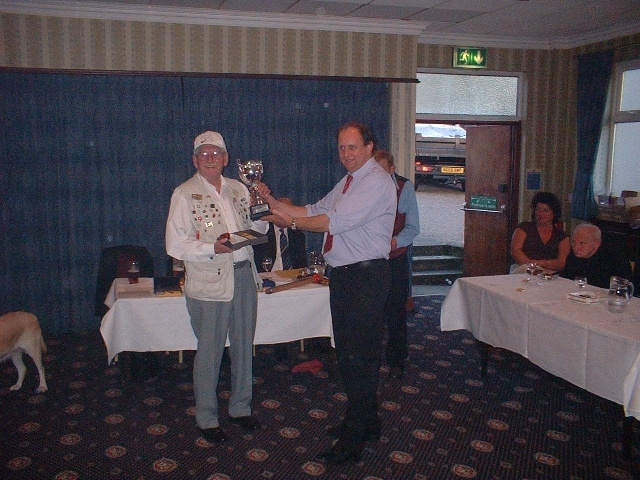 This was followed by a few words from Chairman Len Ellis. 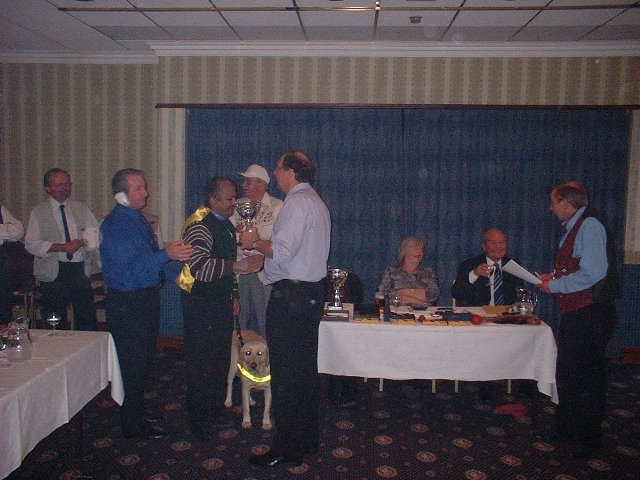 A giant raffle then took place with three of the first ten prizes going to the Secretary (Surprised? You could have knocked me down with John Elvin's feather duster. 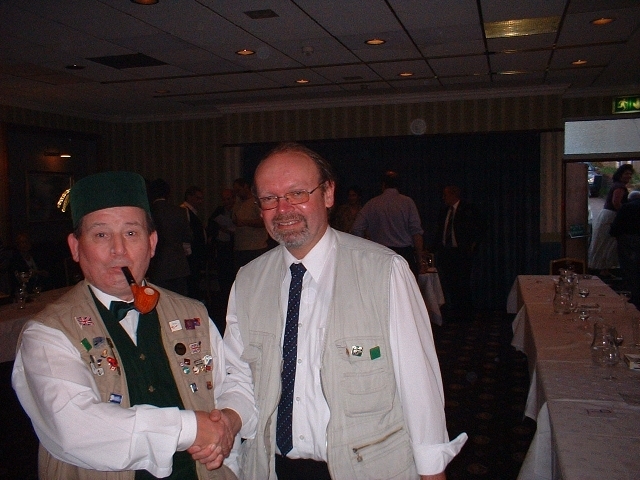 Anyway, he needed a couple of new pipes) The winner of the most prizes must have been Tim Knight, as he appeared to leave with two suitcases. 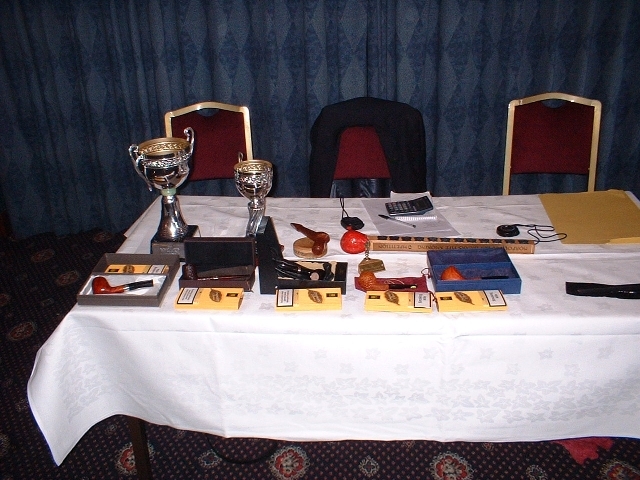 Then to the contest itself: straight billiard pipes with saddle mouthpieces had been supplied by Murray, Frame and Love, and the contest tobacco was Robert McConnell's Scottish Cake. 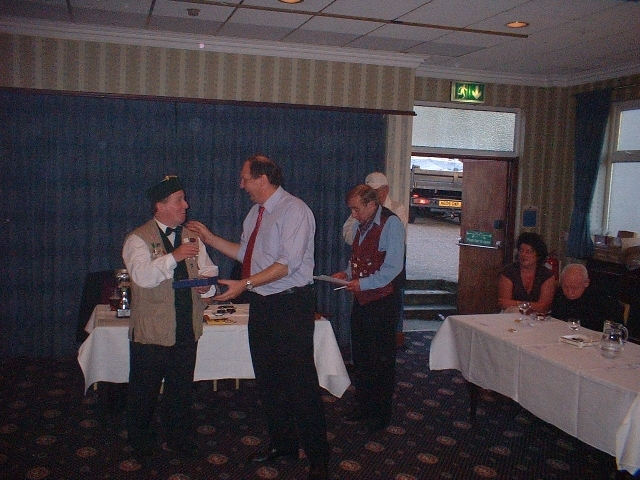 For the second year running George Kristlik was the first out. John Elvin kept up his remarkable form of late and soon followed suit. In an exciting climax, Len Ellis overtook Balraj Singh by 3 minutes and 10 seconds with last years winner, Reg Stevens in third place. (full list of times below). 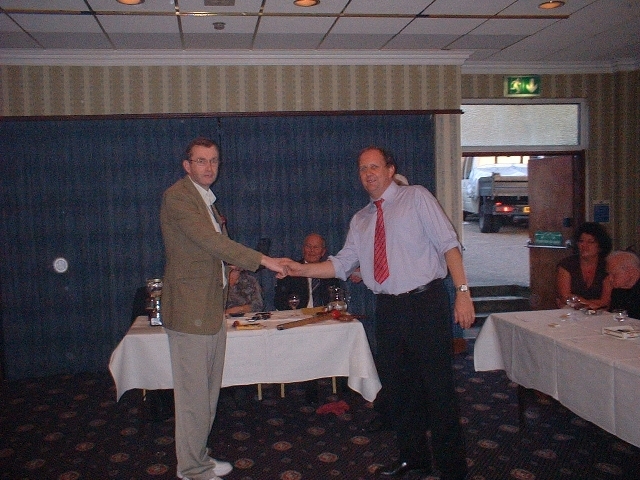 Guest speaker Ian presented George with the dreaded wooden spoon, the team trophy to the John Hollingsworth team, and prizes to the top five finishers. 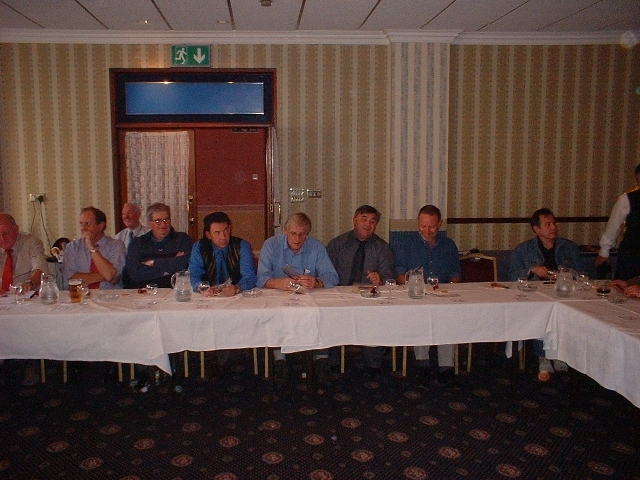 With 41 competitors this was yet again a very successful day. 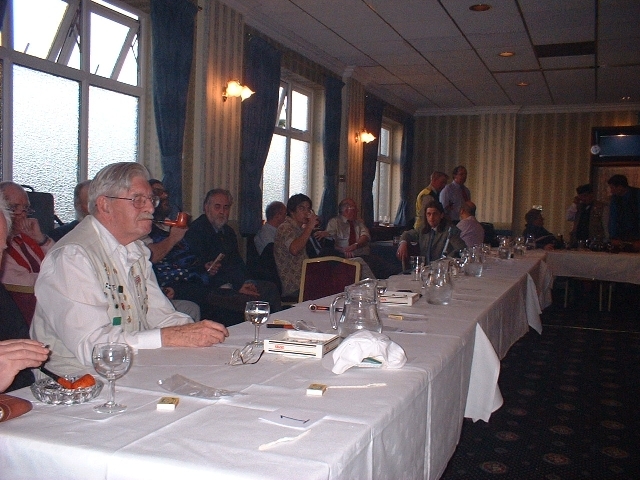 The organisers would like to thank all those who made the effort to attend and the following for kindly donating prizes, Clive Humm, George Krislik (Jan Pipes), Bill Taylor (Ashton Briars), Cadogan, Alfred Dunhill Ltd., Merton and Falcon Ltd., Northern Briars, Anglia Direct Ltd., The Rosary Tavern and Churchills, plus all those individuals who brought along prizes on the day. David Bullock (Town Crier of Norwich) and Reg Walker (in red) prepare for action. 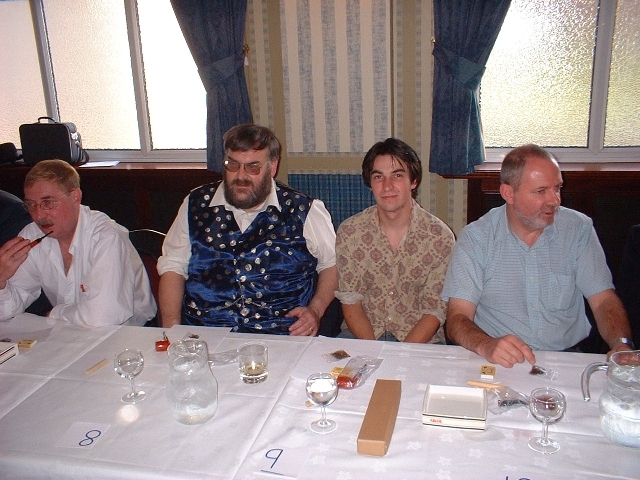 L to R Frank King, Richard Adamek, Leon Pickering, John Betts. 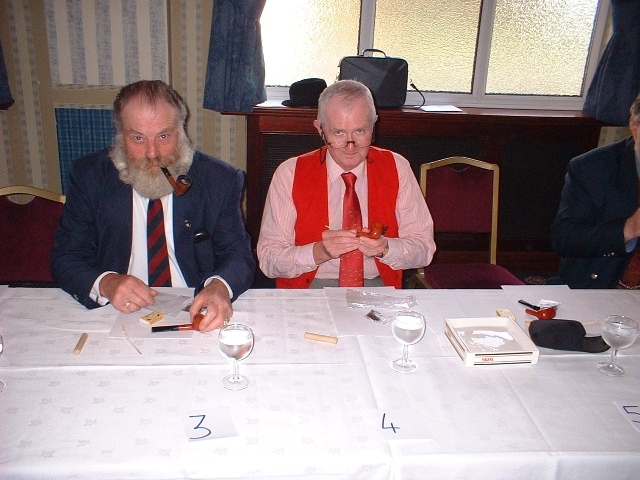 Tony Larner (left) apprehensively awaits his fate while John Eason rolls up his sleeves ready for the fight. 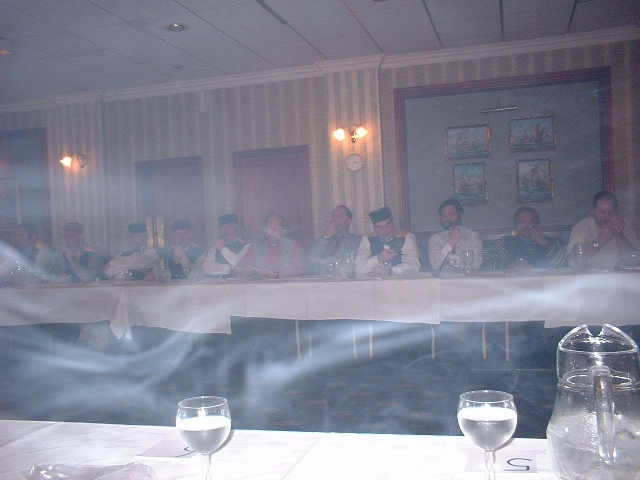 ... as do the London representatives. 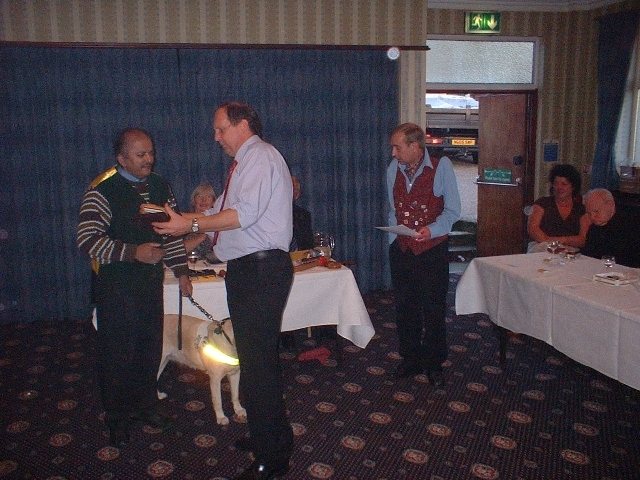 Balraj Singh (with the best-behaved guide dog in England) receives the Hollingsworth team winners trophy. Len Ellis wins for the SEVENTH time! Balraj gets the second prize.